We get lots of crazy post in our house. Lots from the one company that always uses the same courier - and always seems to send international goodies. Here we have a lovely silver box of what I initially assumed were oranges - but were actually more exotic. 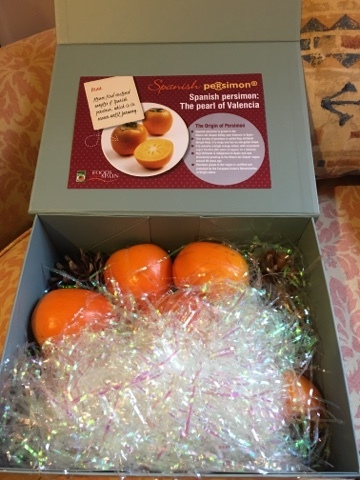 Here hiding in the festive packing were 6 Persimon - the pearl of Valencia! To me these kind of looked like a cross between an apple and a tomato. 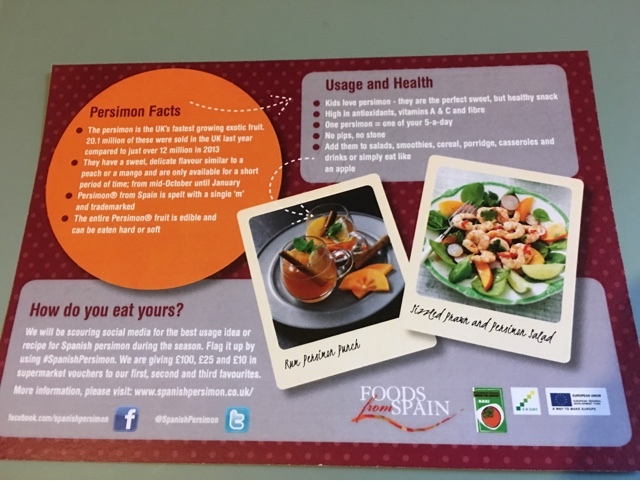 There are some lovely facts and pictures here - and they say it tastes like my favourite stone fruits! Only when I (badly) cut ours up to eat they just weren't that exciting. The skin is a little too hard to be enjoyable, and the insides a bit mushy to carve neat slices out of. The flavour didn't really have any noticeable sweetness or sharpness to speak of and it left me thinking I'd done something wrong. 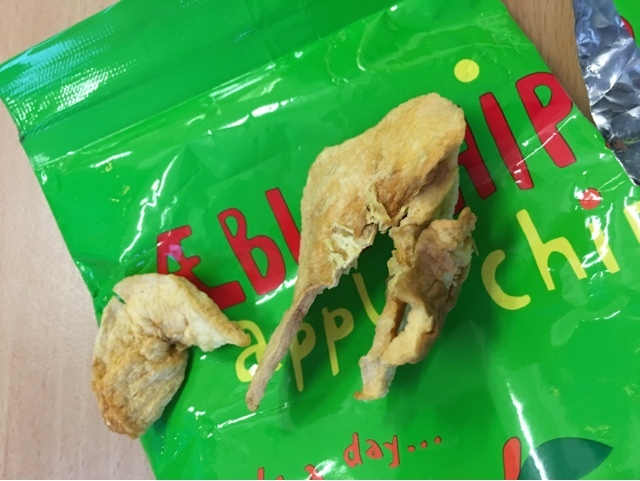 The picture on the left with the perfect pattern of light and dark was visible in parts of the ones we ate but I just couldn't get excited about the flavour. 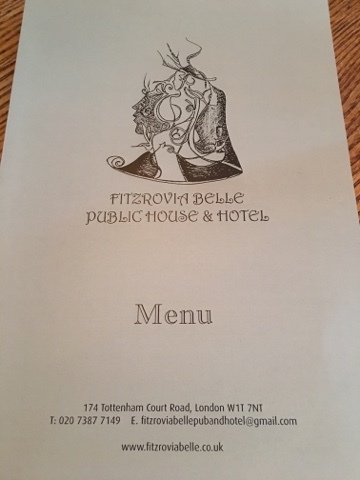 Maybe I need to find someone who is an expert in Persimon to advise on serving. We gave the other 4 to various family members who were bigger fans than us so maybe it's one for those who prefer their flavours to be more delicate. I did like the cinnamon in the box and the smell from that was far more to my liking. I do love a bag of pork crackling now and then, especially with a pint of ale to wash it down with. I generally look around for twice or triple cooked pork crackling as they are less crunchy on my old teeth. 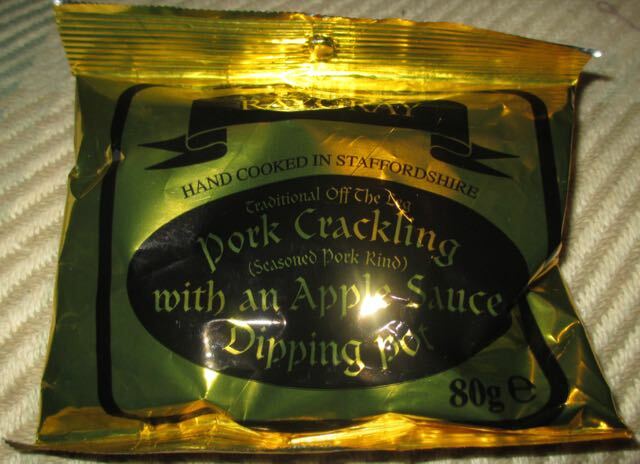 Produced locally by Ray Gray in Rugeley, Staffordshire, this pork cracking has the original idea of an added pot of apple sauce in the packet. However I'm not a fan of apple with my roast pork Sunday dinners. Though I've never tried pork crackling dipped in apple, I'm not sure apple, even with pork crackling goes well with beer. Maybe cider (? ), but it was already too late and I'd poured myself a pint of ale. Opening the packet these pork crackling smelt mouth-wateringly fantastic. The first piece had a decent crunch and a very mild saltiness to the pork crackling flavour. 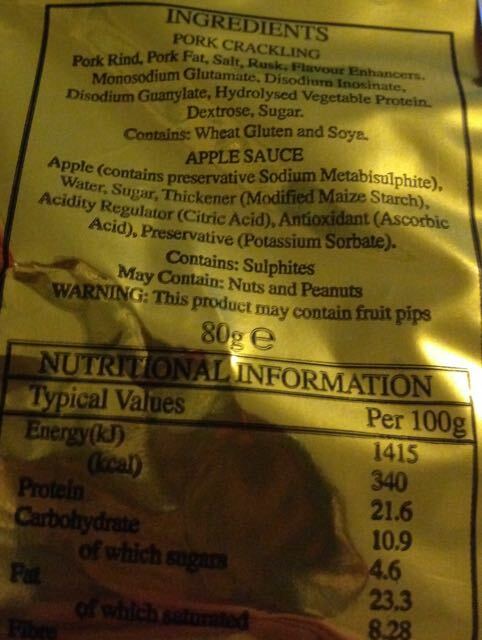 I noticed the dinky little pot of apple sauce in the packet (see photograph) was covered all over with pork crackling crumbs. You may want to brush these crumbs off or if you're like me put the pot in your mouth like a child and lick it all over (not to be undertaken in polite company). I'd advise you to do the later because the salty pork crumbs tasted great. The pot was full of small pieces of apple in a gooey sauce. I dipped my second piece of pork crackling into the apple sauce and was surprised at how good they both tasted together. The apple complemented the saltiness in the pork perfectly. 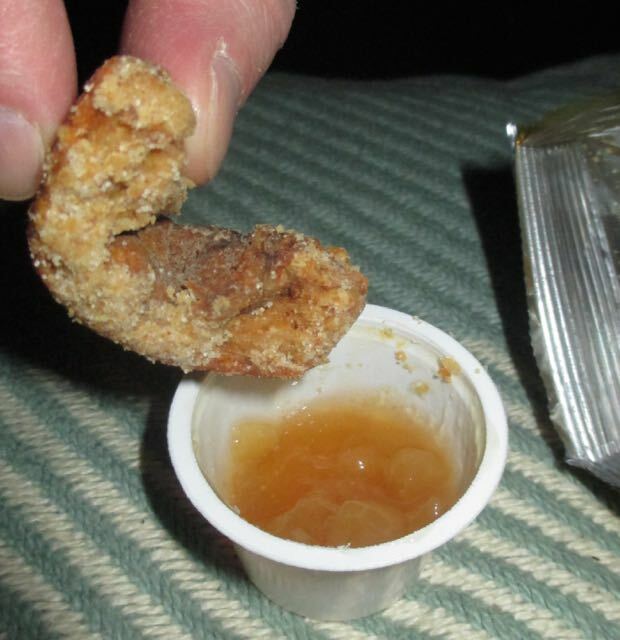 So I enjoyed dipping the rest of my pork crackling into the apple sauce. Perhaps a New Year's resolution should be to try more things I expect not to enjoy? Happy New Year and thanks for reading. 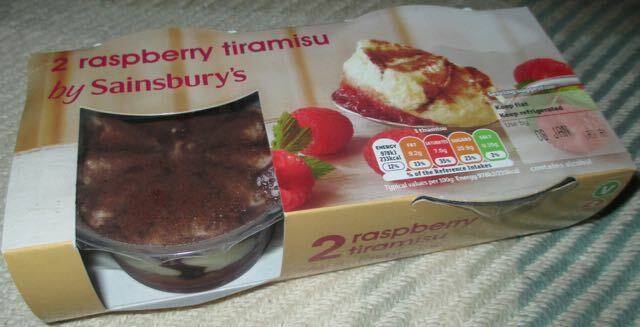 80g, with 340 calories per 100g, having 23.3g of fat, and 4.6g of sugar. For ingredients see photograph. Apologies for another cheese post, but frankly we got a little excited this year and ended up with such a good stash of cheese I couldn’t resist writing about a few. I do love cheese, and Christmas is a fab excuse to put together a selection. This particular cheese caught my eye because it is from a large brand, that I don’t recall releasing a flavoured cheese before. I have had Cathedral City Mature Cheddar many times before and always liked its strong taste, so this new cheese appealed to me. Usually flavoured cheeses have a creamier base such as Wensleydale with Cranberry, another seasonal favourite. This looked quite interesting having a stronger base flavour. Once out of the packet you can see the onion pieces mixed in with the cheese. The cheese has a firm texture, and cuts well but you do need a firm touch to get the knife through. 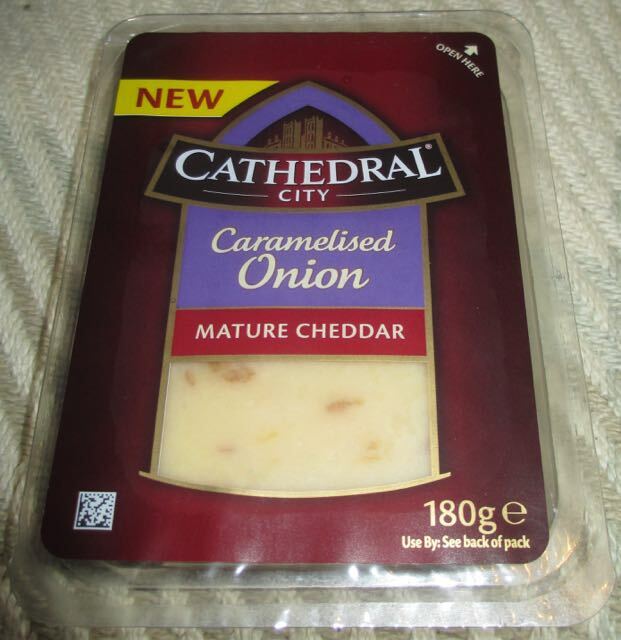 I was impressed with the flavour, the base taste of the Cathedral City Cheddar was rich and the mature edge to the taste was still very much present. The onion was sweet and tangy, and the flavour complemented the cheese rather well. It was strong enough to stand out, but not so strong that it was overpowering. 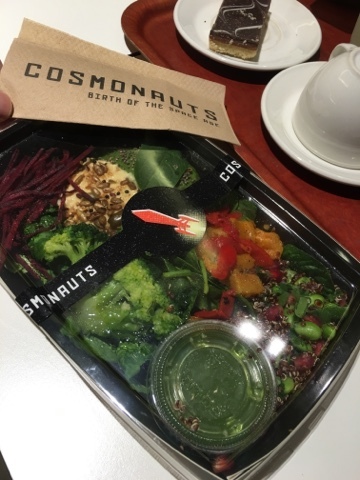 It was rather like having a good onion chutney, but already inside the cheese. We enjoyed this cheese a lot, and would gladly buy it again. It is perfect chopped up and served on buttered crackers, with tomatoes and olives on the side. Occasionally I get bought little snacks to try - and I got this one before Christmas and it's pretty fun. 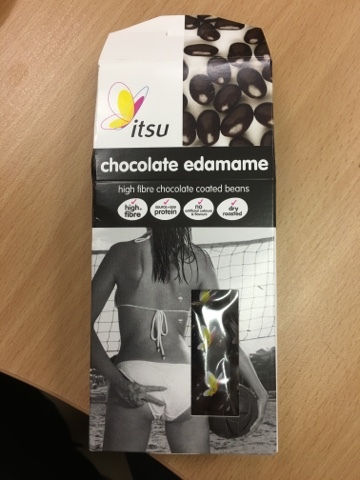 These are Edamame beans, but coated in luscious dark chocolate. Apparently it's a Calafornian craze (according to the box) and it's the perfect snack. 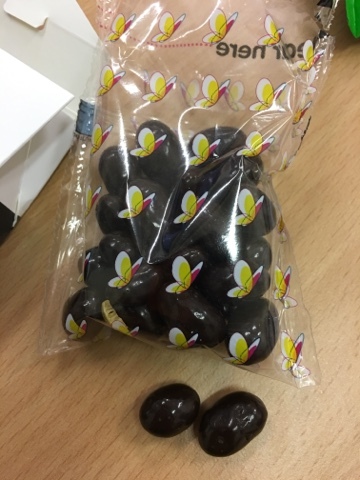 They are fairly large and there is a decent amount of choc here, and the beans themselves are crunchy and satisfying. They are quite dry though so I only eat four or five at a time but that just means they are lasting well. I can easily see these being added to the pile of nuts on my desk as a little bit of flavour and fun. I guess it depends whether I can get hold of lots of these affordably! We all have had the issue of what to do with the rest of the turkey after our Christmas meals. Make a curry, a thousand sandwiches...? Oh, Piri Piri (genius for a 'Cheeky Nandos'). However, a crisp flavour sounds different, "but there have been lots of different turkey flavoured crisps before," I hear you say. Time for something new? 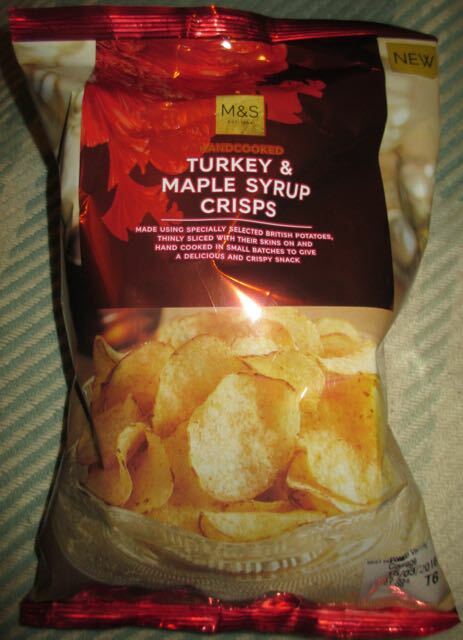 Though these Turkey & Maple Syrup Crisps just don't sound right to me. 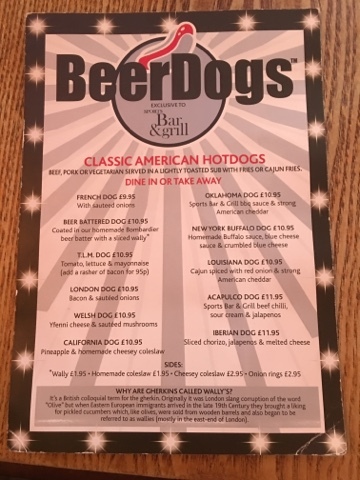 They sound like something Heston Blumenthal would come up with in his laboratory of crazy flavours! However I have had bacon and maple syrup flavoured snacks before, and I know they were good, so why not? On opening the bag these crisps don't quite smell tight too. There is a heavy hit from sage with a touch of thyme overpowering the turkey and maple syrup. On taste fortunately it's a different matter. There is an explosion of sweet syrupy maple syrup to start with and then the turkey kicks in mixed with the sage and thyme herbs. These crisps were very tasty, especially if you're not thoroughly sick of turkey by now, I'd recommend you pick up a bag! 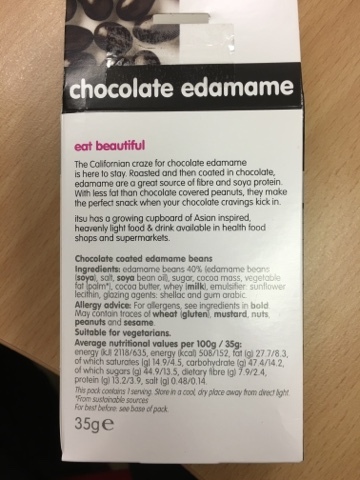 150g packet with 496 calories per 100g, having 26.4g of fat, 4g of sugar and 0.93g of salt. Please see photograph for ingredients. Just a short post today as Im sure everyone has other things on their mind. 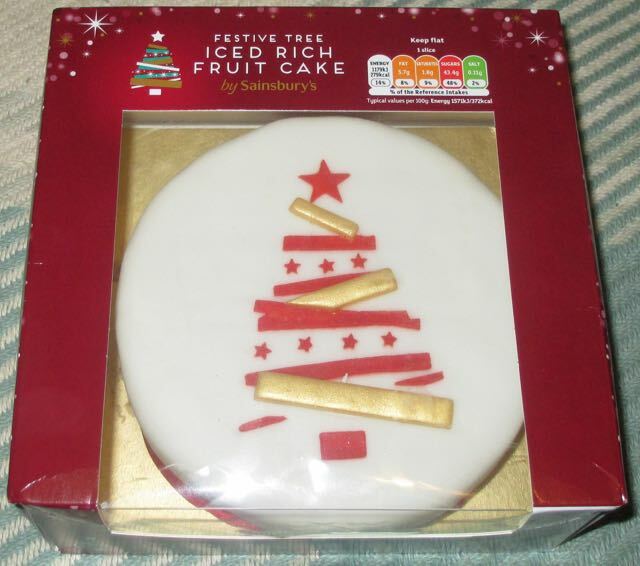 Our Christmas cake this year was this fine looking cake from Sainsburys, decorated with a pretty tree design on top. It is a simple design, but still elegant. 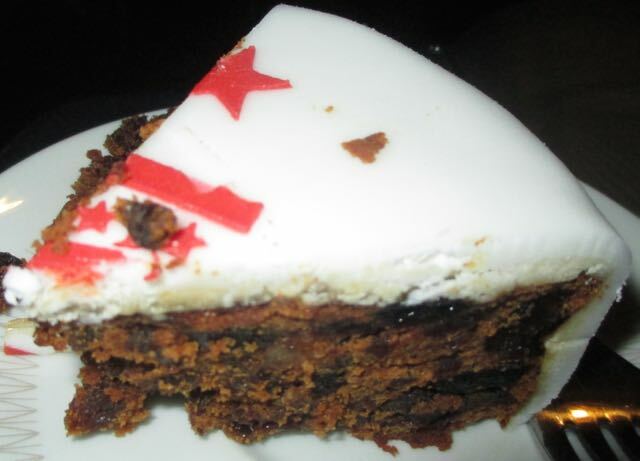 The cake itself is rich and fruity, and has a wonderful dark flavour. 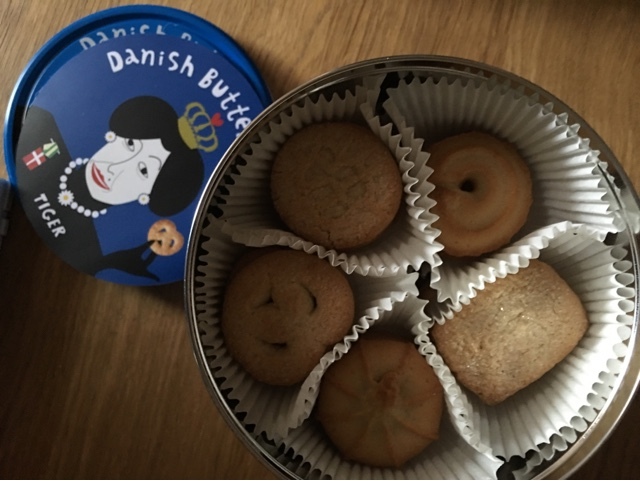 The marzipan layer inside is thin, but this worked well for me. I have a love hate relationship with the stuff, I love a little, but I find too much overpowering. The icing is soft and very tasty. We have enjoyed the slices we've had so far, and thank fully have plenty left too. Here we have the Aldi Christmas Reindeer. 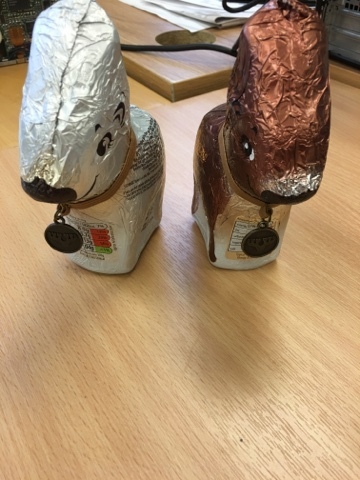 But this year they have dark and white chocolate versions! Look at them with their sweet little moose-like medalions. 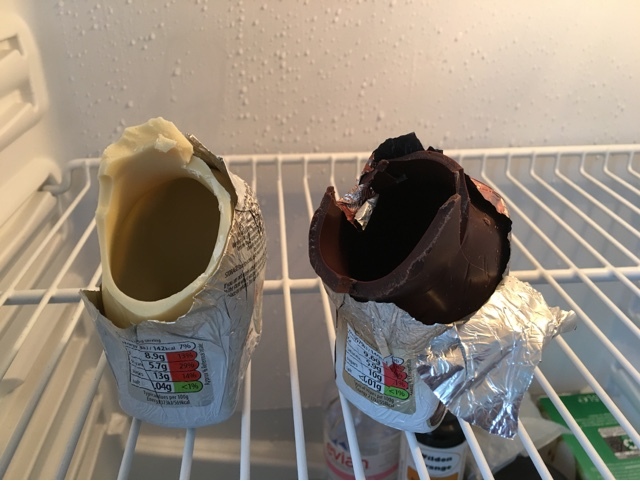 And look how thick the chocolate is! 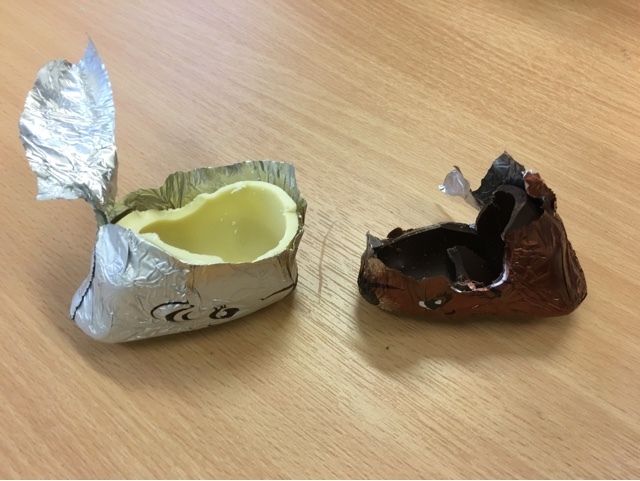 The Lindt versions are a little fragile and don't require quite as much force to get in to. And here we can see the heads for sampling! The White chocolate is fairly creamy and while not green and blacks quality is interesting enough. It's possibly not as sweet as a milky-bar but similarly would appeal to the younger generation. The dark choc version wasn't as bitter as I'd hoped for but was a nice enough quality. 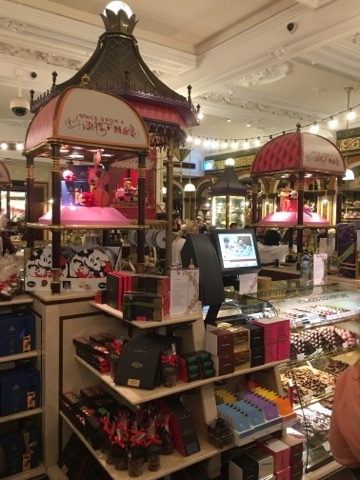 Not quite a Bournville but certainly friendly enough for the masses. It had a nice deep flavour and like the white snapped satisfyingly. 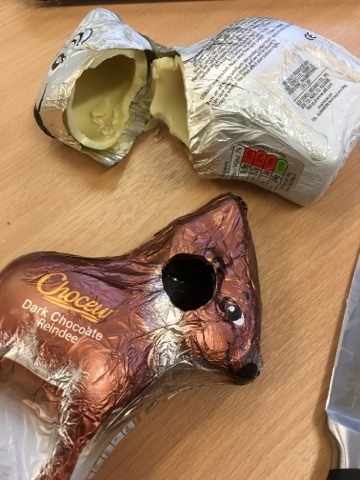 We popped the rest of them in the fridge for future snacking, but who could do such a terrible thing to such a nice pair of reindeer? 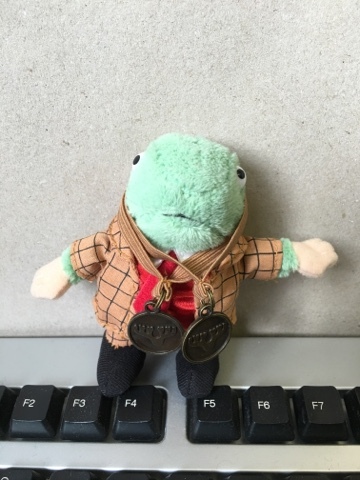 Oh Mr. Toad... There are nicer ways to get more medals for your collection! Well, Christmas is here again, the decorations and tree are still standing and the TV guide is ready. However, I have to finish work first so time for some tea. It’s a sign it’s Christmas as my daily hurricane of emails has slowed almost sufficiently to write a blog at lunch. I do like spicy tea in the wintertime to warm up my cockles from the wind and rain, or snow if we’re really unlucky and the country grinds to an immediate halt. Christmas this year seems unusually warm, and we have overcast weather and rain. I’m not complaining though as it saves on de-icing the car first thing in the morning! 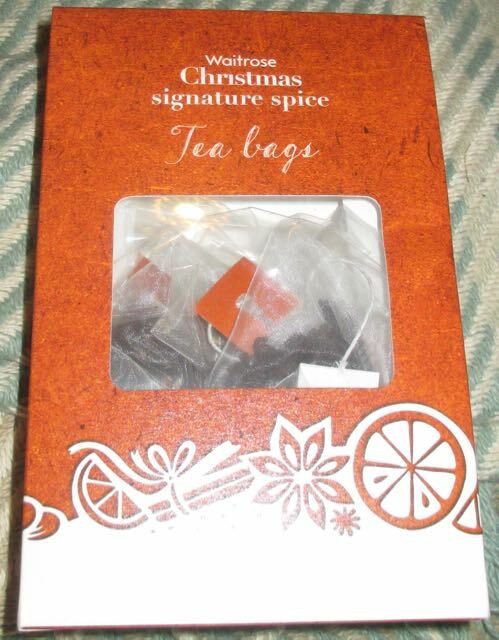 This Christmas Signature Spice tea from Waitrose is China black tea blended with spice of tangerine, cassia cinnamon, and star anise, cardamom, nutmeg, cinnamon, ginger, allspice with a hint of black pepper. 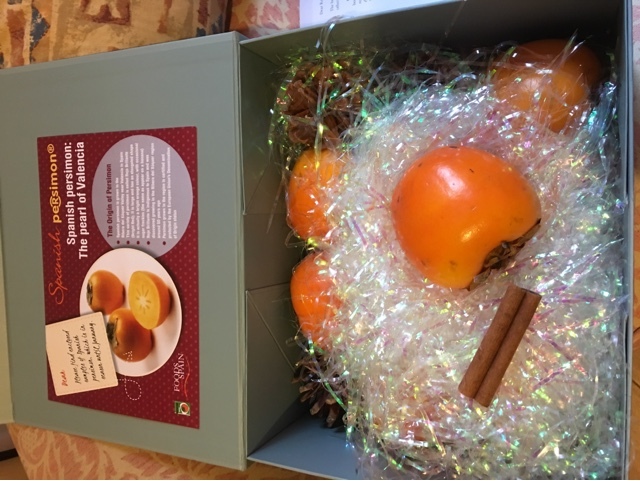 I gave the teabag a good (Food Blogger’s) sniff on opening the Christmassy looking box. I could definitely pick up on a strong tangerine smell mixed with a multitude of spices, with the ginger cinnamon and cardamom standing out from the crowd. I made a foolish assumption with my first cup on seeing China black tea in the ingredients and added my regular splash of milk. Even after a few minutes of brewing the tea looked like a sick cow’s milk. For a change I thought I’d then look at the instructions, which stated “best served without milk”. I then became distracted by several emails at work and noticed after an unknown amount of time that my tea had gone slightly darker. Now at drinking temperature the heavily brewed tea tasted less like tangerine then the teabag had smelled. This was more of a relief then anything, as where the subtleties of Orange Pekoe to tantalise the tastebuds, pulling the pin out of a tangerine grenade and dropping it in a mug of tea might make a small splash to start with, but the sheer strength of tangerine without the mixture of spices could have been like my tastebuds receiving a swift kick in the Christmas Baubles! In fact the tangerine flavour became almost secondary with the bulk of spices that seemed to whirl around my mouth. Each mouthful full of flavour with cardamom, cloves and nutmeg mixed with a hefty amount of cassia cinnamon to start with, toiled around my tastebuds like an angry winter’s storm and had a tail-end of a mixture ginger and tangerine, as well as a dash of black pepper to finish. For my second cup I went without milk. I still forgot about the brewing process and left the teabag in far too long whilst looking at emails and spreadsheets. The battle of the spices was certainly still present although I would have thought that the milk would have dulled their fierceness, however this was not the case, the milk had previously made the spice storm more intense in my tastebuds. Without the milk the tangerine taste was dulled further and at the end of each mouthful the spices that had been warming me against a dark stormy sky seemed to smooth out and then dissipate into a sunny cloudless day, rather than the previous mixture of tangerine and ticklish ginger. This is a perfect winter’s brew that warmed my cockles a little too much in an already overheated office. Best drunk outside or with a fan on in a hot office, with or without milk, but I preferred milk builder’s strength, but I’d advise you to wear a hard hat! 15 pyramid tea bags. Ingredients included; tea, cassia cinnamon (10.8%), ginger (4%), allspice (2.2%), Nutmeg, Cardamom, star anise, black pepper, cloves, tangerine peel, and tangerine flavouring. 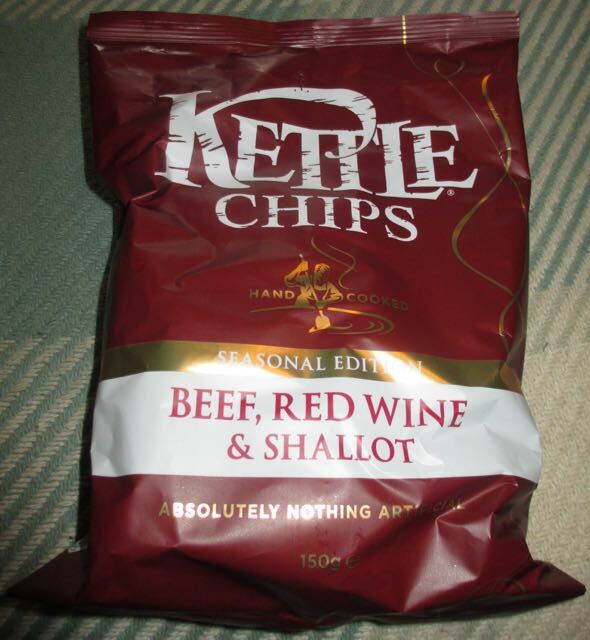 We recently wrote about Kettle Chips Seasonal Edition of Beef, Red Wine And Shallots but this isnt their only limited edition this Christmas. 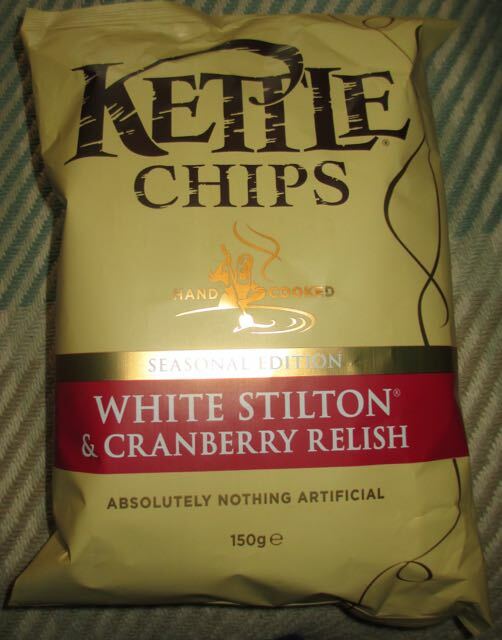 We also spotted these Kettle Chips flavoured with White Stilton and Cranberry Relish and thought we'd give them a taste test too. Once the bag was openned they had a very mild aroma, slightly creamy if anything. We shared out the bag between us and tucked in. The texture of the crisps is crunchy and firm, they feel posh as they are thicker cut, like all Kettle Chips. They certainly have a feel of a premium snack if you are trying to impress this Christmas. The taste was very mild though. 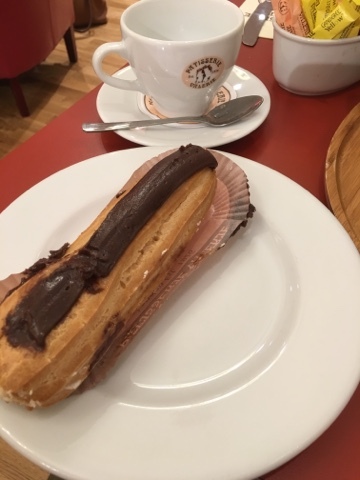 They had a nice gentle flavour, creamy and smooth. The cheese aspect was light and not heady and musty. The cranberry relish gave this a pleasant fruity tang for an aftertaste, but again it was very easy going. Think mild cheese cheese with just slight berry tang. I'd find it hard to imagine that anyone could dislike these crisps, they are easy to eat and not offensive. They are perfect if you intend to share them with people who may have an aversion to strong tastes, or just want something easy going for a larger party. However I'd rate the Beef, Red Wine and Shallot ones head and heals above these for my tastes, but then I love meaty crisps. The cheese is smartly wrapped in a paper cover, which open up to a sealed pack to keep the cheese fresh. There was a thin dark rind on the dark cheese that I removed before serving. 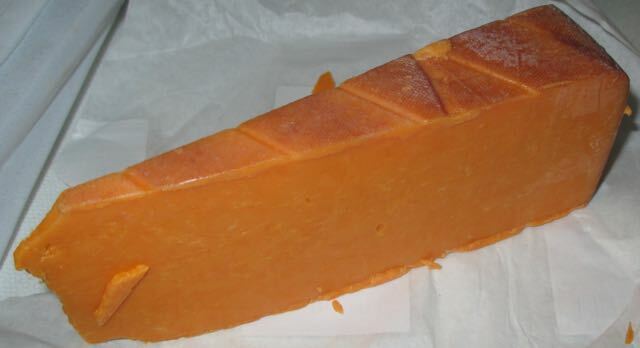 The cheese had the texture of a firm Red Leicester, it cut easily with just a little pressure on the knife. The aroma was slight woody, but not quite as smoked as I had imagined and the flavour was similar. 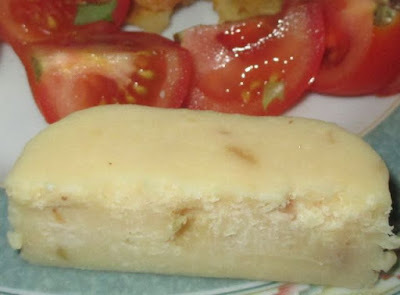 The cheese had a nice mature edge and the smoked flavour was quite light, adding a lovely earthiness to the taste. There was a very slight taste of pine tree, you could pick up on it if you looked for it, but the cheese was a strong Red Leicester flavour and that combined with the smoke meant you had to stop and appreciate the cheese to spot it. I thoroughly enjoyed this cheese, and would happily have it again. 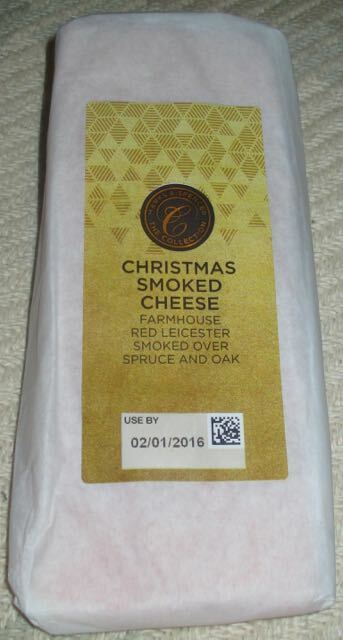 It is perfect for the Christmas cheese board, it's seasonal twist is novel but the base flavour of the cheese still sings through. As a break from Christmas here are a few things that I've used as sustainence while pottering around the shops. I picked these two up at a small shop in London but used them to survive the Birmingham crowds. First up we have an odd little non dairy milk shake. 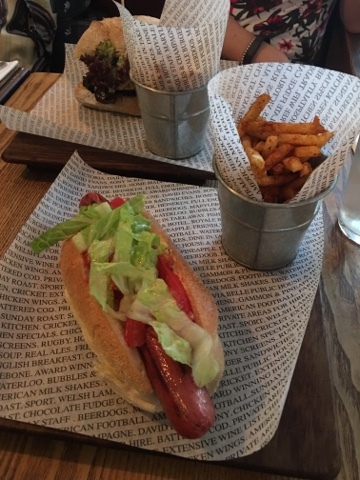 I've not heard of Rebel Kitchen but this was really quite nice. It was a bit small for the price, but that could have been London. Not as thick as a real milk shake but vegan and award winning it was a nice little chocolate hit and quite refreshing. 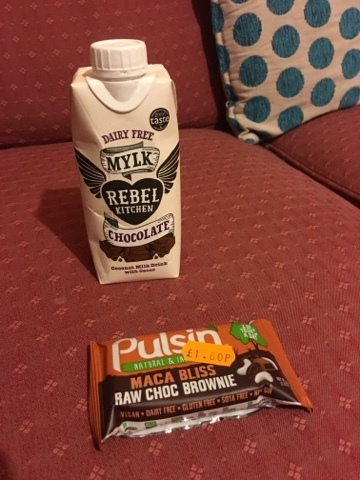 I had second thoughts about this little Pulsin bar, it evoked memories of carob and other upsetting foods. This again was a flavour and texture win. I'd actively seek more of these out. While not quite as cakey as a real brownie it didn't stray into the plastic region that some of these bars do. Deeply chocolatey and filling enough to allow room for a few sharing bites I certainly want more from this range. That little papershop near Hammersmith tube knows their stuff! 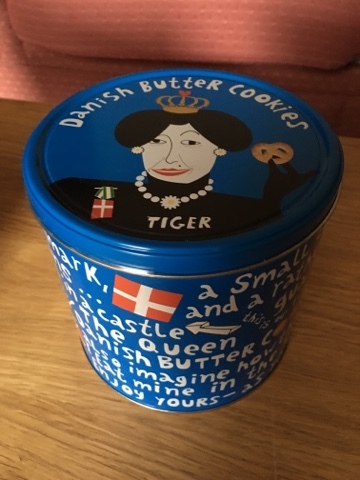 I got to work this week and a half Danish colleague of mine had bought the Danish Christmas cookies that I decided not to pick up due to been horribly overloaded at the time. It makes a nice addition to my Tiger review from last week. 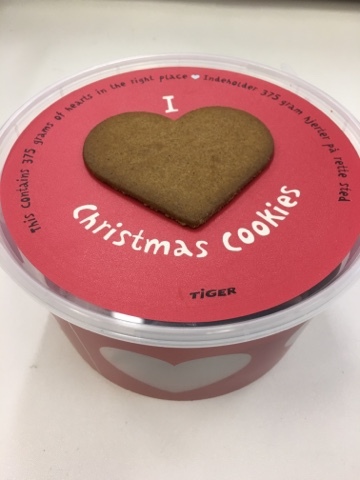 This looks like gingerbread, but is actually closer in texture to fine shortbread. The layers and snap here are lovely and the flavour is less gingery and more mysterious. Which means you have to eat more. And the tub is pretty huge so this is amazing for sharing. Like the butter cookies I suspect this is cheap so you get to share them and people ask where you got them from. I'm going to pick up some of these for the family I'm sure! The Shambles in the centre of York was mentioned in the Domesday Book in 1087. The ye olde cart street is still used today for lots of eccentric shops. Apparently the Latin name for the Shambles was 'Marcello' meaning 'slaughterhouse'. However naming this ale Santa's Slaughterhouse doesn't have a particularly Christmassy ring to it, unless you've plans to watch a dodgy horror film on Christmas Eve! This dark chestnut coloured ale was brewed by the Ye Old Shambles Tavern and was picked up by Cinabar and her mom when they visited recently on holiday. I must admit that haven't been to York for a while, but do remember how good the walk around the wall was, as well as the gory pink castle (soaked in the blood of innocents! ), the life museum, and not to mention the fantastic fish and chips, cakes and tea at Betty's. The Ye Old Shambles Tavern brew plenty of real Yorkshire Ales, as well as sell a selection of coffees and teas, and has seating for fifty people for their own restaurant. Served in a 500ml bottle this 4.6% volume Santa's Shambles Tavern Surprise ale had a rich fruity lightly spiced smell on opening. The deep brown liquid filled my beer mug with a hearty head and had an initial bitter taste that made the hairs stand up on my neck. The lightly spiced fruitiness came after the sheer bitter blast once all my cobwebs had well and truly gone away. The complex mix of hops and barley battered against each other for a brief hardy few seconds and then smoothed out to the spiced warming fruity lip-smacking notes that made me want another sip upon another. 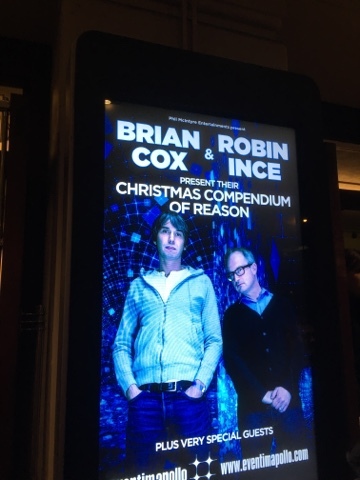 Definitely a wonderful treat that shouldn't be just for Christmas. I'll have to pop into the tavern next time I'm in York, sample more of their ales and have a good hearty meal. On the run up to Christmas we have been trying out various sharing bags of crisps. Kettle Chip’s latest flavour doesn’t sound that seasonal, but as I like meaty flavours they still sounded pretty good. They are still a Seasonal Edition, so have been made with the holidays in mind. As for flavour I found them very tasty and moreish. They are almost gravy like in taste, I think it is the combination of beef and shallot giving these a less posh feel of onion gravy. It wouldn’t be fair to say that the red wine element wasn’t there, because there was a hint of it in the background, along with a little sweetness. Its just that the main flavour is the shallot and beef, with a hint of salt. I’m not complaining, I found the flavour to be seriously tasty. 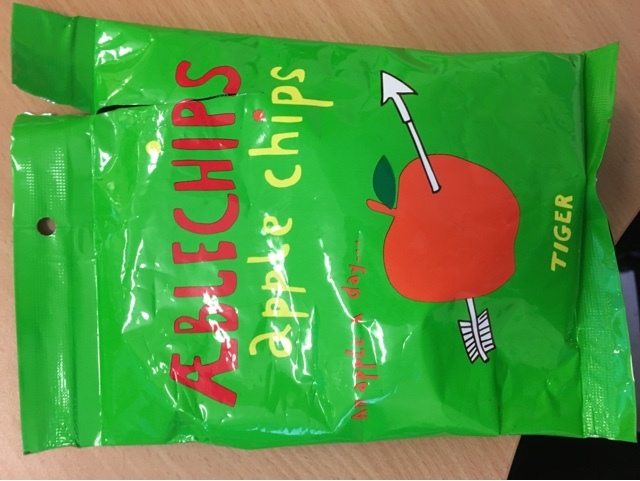 Although they are quite posh sounding, I think anyone who likes meaty crisps will love these, and as such they will be a success in any bowl for sharing over the Christmas season. Yes it's that famous character Humpty Dumpty... Oh, no wait, what happened to the 't's? Humpy Dumpy is a corn character who allegedly pushed Humpty Dumpty off the wall and stole his identity. Only problem was that Humpy couldn't spell... it makes for a pretty rubbish rhyme also, but never mind. On opening the bag these mini tortillas had a glorious sweet chilli smell to them. On first bite the lightly crunchy tortillas had an initial sumptuous sweet chilli flavour that tickled and played in an over friendly manner with the garlic as both ended up doing a cheerful jig into the aftertaste. None of the vicious murderous identity stealing pushing off a wall business here. Although that's perhaps how Humpy pushed Humpty off the wall; over friendly one second then wham at the moment Humpty dropped his guard? There was no burning wham of chilli with these tortillas. 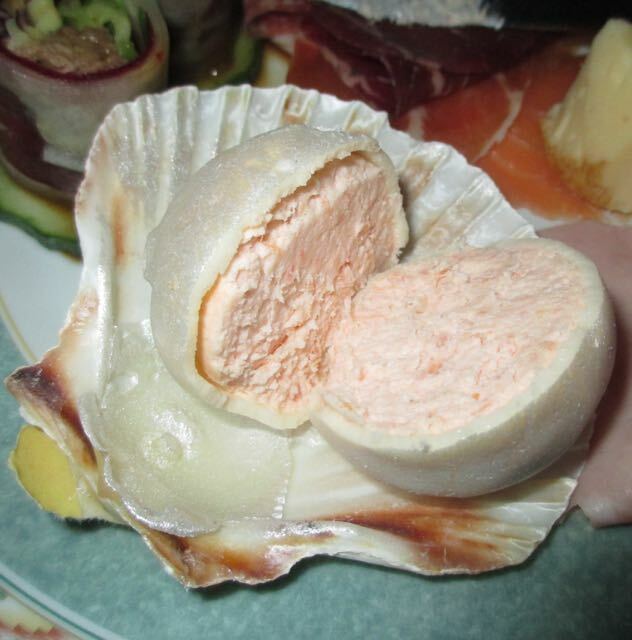 The wham probably comes when you try and kiss someone after eating them as the garlic aftershock was pretty strong! 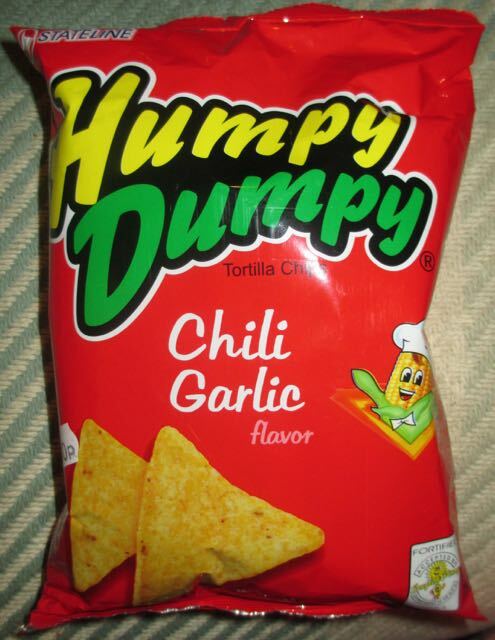 However, I found these Humpy Dumpy Chilli Garlic Flavour Tortilla Chips unputdownable once I'd started eating them. Try them, but don't expect a snog afterwards! 110g bag. Ingredients; corn, palm and coconut oil, iodised salt, sugar, hydrolysed plant protein from wheat and soya beans, natural garlic, natural chilli, mono sodium glutamate, flavour enhancer and vitamin A acetate. 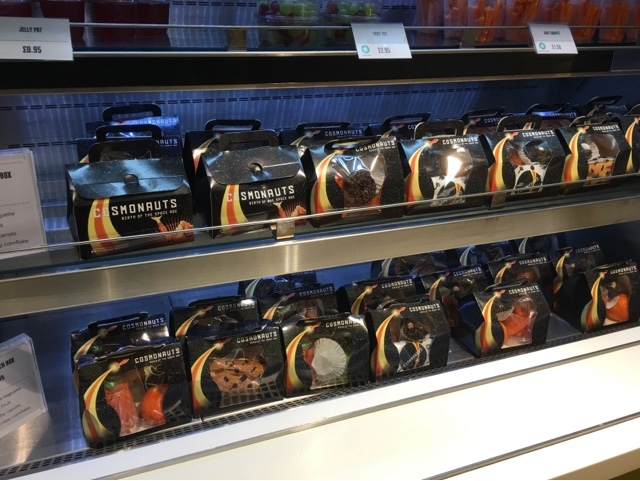 I was having a look around Marks and Spencer food hall, seeing what was new when these pearls caught my eye. They looked quite shiny and stunning, perfect for a starter on Christmas Day lunch. These had a use by date before then so I decided to try them out amongst a platter of cooked meats and cheese as a quick supper. 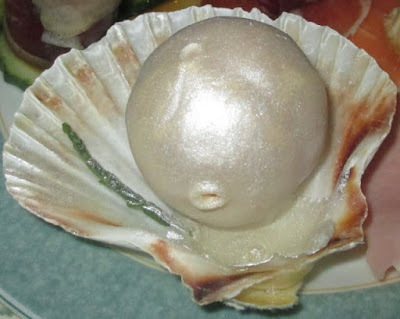 The pearl is actually a ball of salmon, cream cheese and lemon mousse in an edible pearl coloured coating, displayed on a shell. There is a piece of samphire too (think seaweed mixed with asparagus) but its pretty much there for the garnish. It had picked up a glimmer of edible pearl dust too, but I don't think this was intentional. 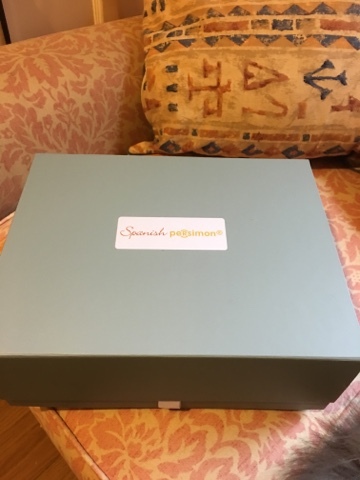 The pearls are very shiny and their coating had clearly touched much of the box inside as well, its glimmering coating was everywhere. Thankfully the pearls were still fully formed, even if they had moved about. We served them on their shells, but soon cut into them to reveal the mousse inside. The mouse was firm but still easily spread on bread. 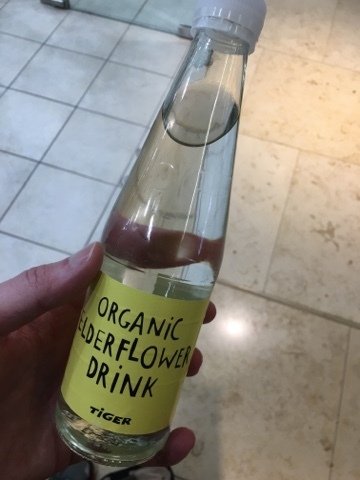 The flavour was a nice mix of acidic lemon and fresh salmon. There was was more citrus than I'd been expecting but I liked the zingy favour as it gave a lovely fresh taste with smooth salmon and the cream cheese. 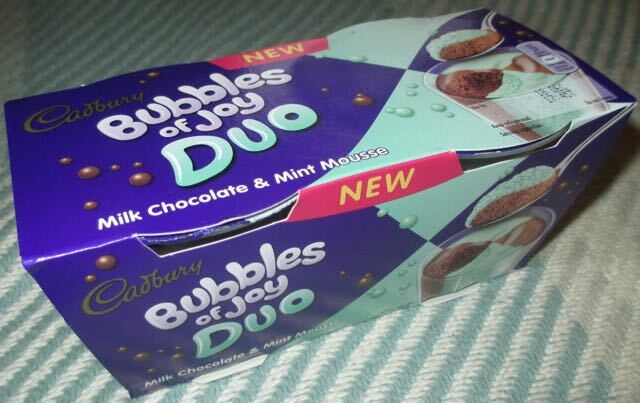 Well I thought I'd try out the new Bubbles of Joy Duo Mousse, as they looked pretty, and well they had "New" in the title. 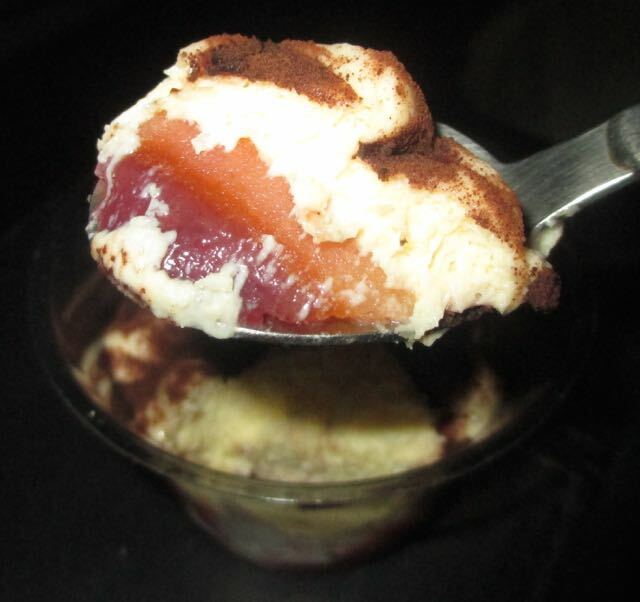 I quite like this sort of thing as a light dessert, something sweet but not too calorific. According to the box they combine mint mousse and chocolate mousse in a funky diamond pattern. Also according to the box the pot is almost completely full... The packaging shows mousse just millimetres from the top of the pot. This is sadly not the case in reality. I don't mean that it's just a bit lower than you expected, it's more in the category of "what the heck - where's the rest of my dessert"? Both pots were the same, looking very empty and a bit disappointing. I tried to get over this, but was struggling. They didn't live up,to my expectations. 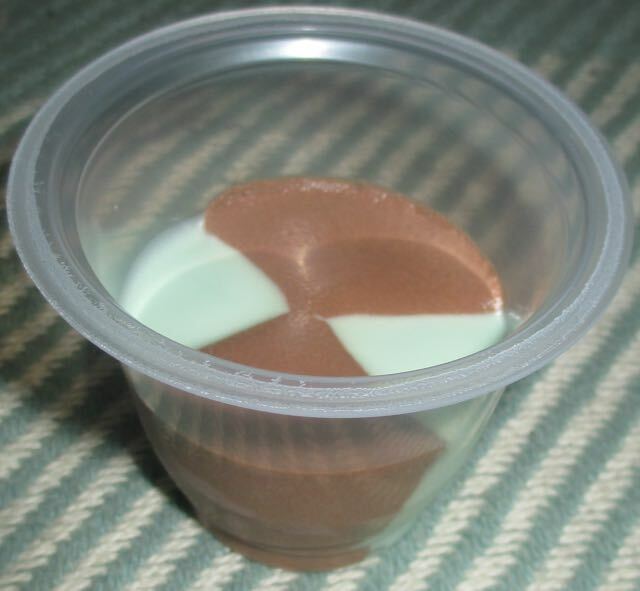 Yes the design of the two mousse colours looked nice enough. 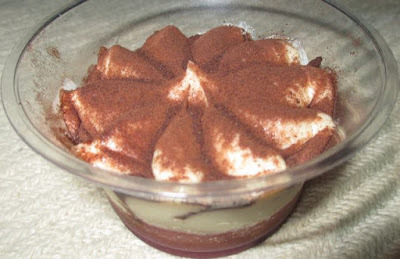 The mousse itself was fluffy and light. The mint was fresh and sweet. The peppermint section combined nicely with the sweet chocolate parts. Taste wise I liked them, they were perfectly pleasant. They would have been even lovelier if they was a little bit bigger, like on the picture, you know a proper pot full. Sadly I wouldn't buy them again, the visual disappointment of a shallow filling was not compensated by the cute pattern.